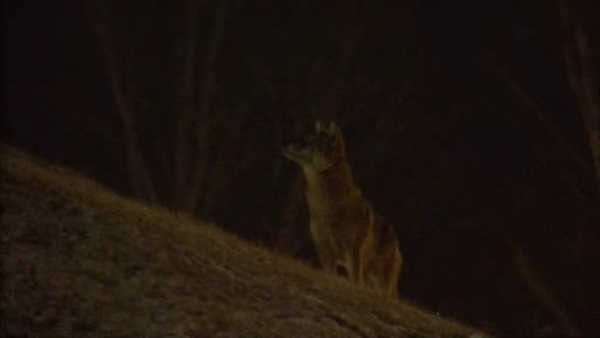 EAST ELMHURST, Queens (WABC) -- There is a battle over coyotes near LaGuardia Airport. A group of people who claim to be animal rights activists say they are watching over three orphaned pups. They claim the Port Authority and Department of Agriculture are working to trap and get rid of the trio because they are considered a menace. "When I see the coyotes in public areas, I chase them out of the open. My friends that are employed with LaGuardia Airport, they do the same thing on the LaGuardia property - and it's worked," says Frank Vincenti. The group claims the coyote's parents and five other siblings were already killed. Eyewitness News has reached out to the Port Authority and USDA for comment.